Death is a grim reminder of how fragile life is, and when someone takes their life knowingly that can be a haunting. Suicide is a tragedy that is unfortunately on a rise today. Modern lifestyle, demanding workplaces and inability to cope with the demands of society are making people take extreme measures. 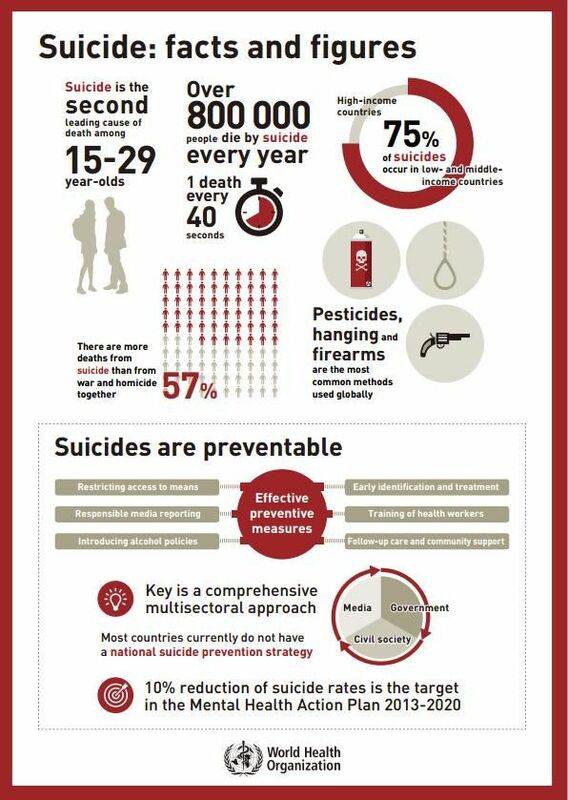 The sad fact however still remains that most of these suicides are preventable, if people get access to the right kind of help. It is important for us to lend a helping hand to those who find themselves vulnerable to such conditions that push them off the ledge. With the recent tragic deaths of Antony Bourdain, Seymour Hoffman, Robin Williams people are finally acknowledging that suicides are becoming a public health crisis and we need to bring our attention to it.